A study conducted by scientists at the Royal Botanic Gardens, Kew (UK), in collaboration with scientists in Ethiopia, reports that climate change alone could lead to the extinction of wild Arabica coffee (Coffea arabica) well before the end of this century. Wild Arabica is considered important for the sustainability of the coffee industry due to its considerable genetic diversity. The Arabicas grown in the world's coffee plantations are from very limited genetic stock and are unlikely to have the flexibility required to cope with climate change and other threats, such as pests and diseases. In Ethiopia, the largest producer of coffee in Africa, climate change will also have a negative influence on coffee production. The climate sensitivity of Arabica is confirmed, supporting the widely reported assumption that climate change will have a damaging impact on commercial coffee production worldwide. These are worrying prospects for the world's favourite beverage – the second most traded commodity after oil, and one crucial to the economies of several countries. The research is published in PLOS ONE on 7 November 2012. The study, which uses computer modelling, represents the first of its kind for wild Arabica coffee. In fact, modelling the influence of climate change on naturally occuring populations of any coffee species has never been undertaken. Surprisingly, even studies on plantation coffee have been limited, despite the concerns of farmers and other industry stakeholders. The researchers used field study and 'museum' data (including herbarium specimens) to run bioclimatic models for wild Arabica coffee, in order to deduce the actual (recorded) and predicted geographical distribution for the species. The distribution was then modelled through time until 2080, based on the Hadley Centre Coupled Model, version 3 (HadCM3), a leading model used in climate change research, and the only one available that covered the desired time intervals, for several emission scenarios, at the resolution required (1 km). Three different emission scenarios over three time intervals (2020, 2050, 2080) were used. The models showed a profoundly negative influence on the number and extent of wild Arabica populations. Two main types of analysis were performed: a locality analysis and an area analysis. In the locality analysis the most favourable outcome is a c. 65% reduction in the number of pre-existing bioclimatically suitable localities, and at the worst, an almost 100% (99.7%) reduction, by 2080. In the area analysis the most favourable outcome is a 38% reduction, and the least favourable a c. 90% reduction, by 2080. Bioclimatic suitability refers to the combination of climatic variables that are necessary for the health and survival of a species: loss of optimum bioclimatic suitability places natural populations under severe environmental stress, leading to a high risk of extinction. This study assesses the survival of Arabica, rather than productivity or beverage quality, under the influence of accelerated climate change. 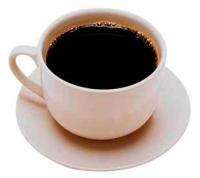 There are other studies showing that the productivity (yield of coffee beans) and beverage quality (e.g. taste) of Arabica are tightly linked to climatic variability, and are strongly influenced by natural climatic fluctuations. Of the two analyses undertaken, the locality analysis is regarded by the authors as the most pragmatic and informative. The predicted reduction in the number of Arabica localities, between 65% and 99.7%, can be taken as a general assessment of the species' survival as a whole, given the scope and coverage of the data and analyses used in the study. However, the predictions are regarded as 'conservative', as the modelling does not factor in the large-scale deforestation that has occurred in the highland forests of Ethiopia and South Sudan (the natural home of Arabica coffee). Moreover, because of the lack of suitable data, the models assume intact natural vegetation, whereas the highland forests of Ethiopia and South Sudan are highly fragmented due to deforestation. Other factors, such as pests and diseases, changes in flowering times, and perhaps a reduction in the number of birds (which disperse the coffee seeds), are not included in the modelling, and these are likely to have a compounding negative influence. A visit to South Sudan (Boma Plateau) in April 2012 provided an opportunity to test the modelling predictions via on-the-ground observation. On comparing these observations with a study on Arabica made on the Boma Plateau in 1941, it was clear that not all of the environmental stress evident could be attributed to deforestation or agriculture over the 70 year period. The modelling predicted that Arabica could be extinct in these forests by the year 2020, due to climate change, and this appears to be realistic given the poor health (lack of seedlings, loss of mature Arabica specimens, low frequency of flowering and fruiting) of the remaining populations observed in 2012. The outcome of climate change in Ethiopia for cultivated Arabica, the only coffee grown in the country, is also assumed to be profoundly negative, as natural populations, forest coffee (semi-domesticated) and some plantations occur in the same general bioclimatic area as indigenous Arabica. Generally the results of the study indicate that Arabica is a climate sensitive species, which supports previously recorded data, various reports, and anecdotal information from coffee farmers. The logical conclusion is that Arabica coffee production is, and will continue to be, strongly influenced by accelerated climate change, and that in most cases the outcome will be negative for the coffee industry. Optimum cultivation conditions are likely to become increasingly difficult to achieve in many pre-existing coffee growing areas, leading to a reduction in productivity, increased and intensified management (such as the use of irrigation), and crop failure (some areas becoming unsuitable for Arabica cultivation). Despite a recent dip, coffee prices are still the highest they have been for some 30 years, due to a combination of high demand and poor harvests. It is perceived by various stakeholders that some of the poor harvests are due to changed climate conditions, thus linking price increases to climate change. It is hoped that the study will form the basis for developing strategies for the survival of Arabica in the wild. The study identifies a number of core sites, which might be able to sustain wild populations of Arabica throughout this century, serving as long-term in situ storehouses for coffee genetic resources. In many areas of Ethiopia loss of habitat due to deforestation might pose a more serious threat to the survival of Arabica, although it is now clear that even if a forest area is well protected, climate change alone could lead to extinction in certain locations. The study also identifies populations that require immediate conservation action, including collection and storage at more favourable sites (for example in seed banks and living collections). Aaron Davis, Head of Coffee Research at the Royal Botanic Gardens, Kew, says, "Coffee plays an important role in supporting livelihoods and generating income, and has become part of our modern society and culture. The extinction of Arabica coffee is a startling and worrying prospect. However, the objective of the study was not to provide scaremonger predictions for the demise of Arabica in the wild. The scale of the predictions is certainly cause for concern, but should be seen more as a baseline, from which we can more fully assess what actions are required." Tadesse Woldemariam Gole, from the Environment and Coffee Forest Forum in Ethiopia, says, "As part of a future-proofing exercise for the long-term sustainability of Arabica production it is essential that the reserves established in Ethiopia to conserve Arabica genetic resources are appropriately funded and carefully managed." Justin Moat, Head of Spatial Information Science at the Royal Botanic Gardens, Kew, says, "The worst case scenario, as drawn from our analyses, is that wild Arabica could be extinct by 2080. This should alert decision makers to the fragility of the species. "Our aim is to develop and apply these analyses to other important and threatened plants, on a routine basis. There is an immense amount of information held in museum collections around the world, such as Kew, and we have only just started to unlock their potential for assessing some of society's most pressing issues." the demand for coffee is such that it will be even grown in greenhouses on antarctica. Oh well there is always that coffee made with cat poop. In 70 years I doubt I will know the difference. In any case Georgian mafiosi were the big coffee drinkers in our town. Nothing like having to stalk your hit in a doorway or burn down a kiosk with the owner inside when you're half asleep. Given that the 2010 SCAA conference made this topic the focus of the entire conference, this seems a bit late to the party. computer modeling as predictive 'science' is metastasizing into even the most rigorous theoretical discussions, and this sort of rubbish in the casual marketplace certainly fertilizes the soil.